Surprisingly, I enjoyed this series very much. Fantastic, very true to the novel. The swimming scene might be a bit much. Great adaptation. I could watch this every. Fantasticaly well done. The movie that forever ruined my attempts at a normal love life. Colin Firth is Mr. Darcy ! Best film adaptation of one of my favourite novels. "..You are the last man in the world I could ever be prevailed upon to marry." 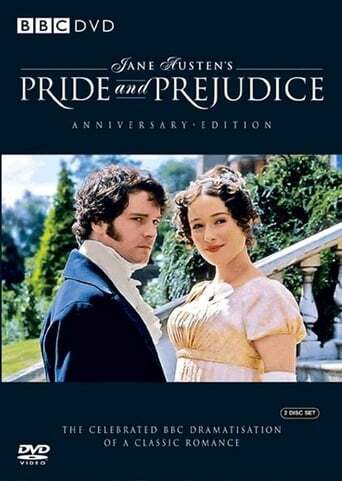 Jane Austen's classic novel about the prejudice that occurred between the 19th century classes and the pride which would keep lovers apart.